On the left, we have the former Delta Money Lent office, cleverly converted by Anna into her own Loan Office. Get your awning fixed, Anna. On the right is a far more tragic story. According to various old newspapers, 312 Forest Road, Hurstville was a jeweller during the 1920s, run by a man named John B. Stewart. 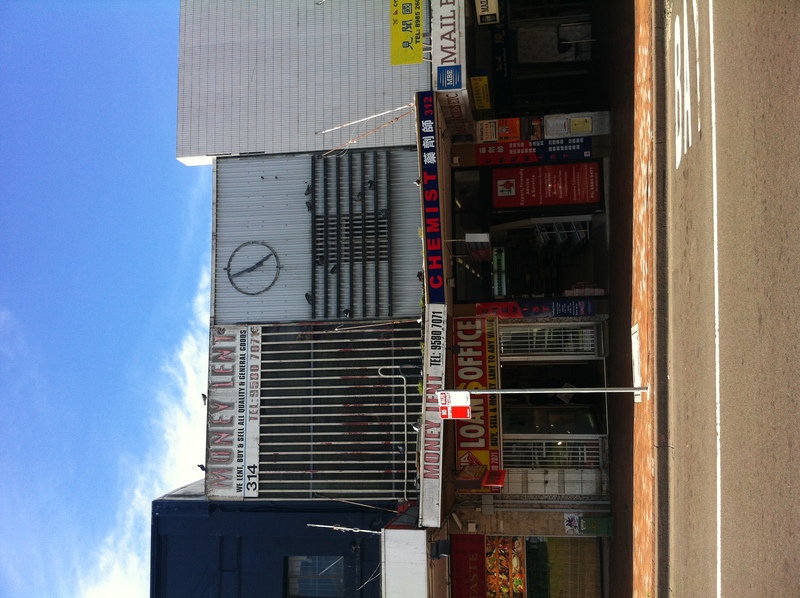 The clock above the awning is presumably a leftover from those days. 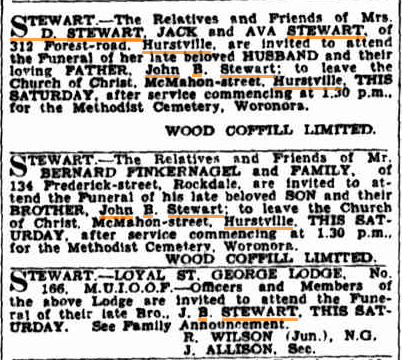 In February 1933, Stewart filed for bankruptcy, but remained at the address through until Boxing Day, 1936, when he died. By 1941, the address had become a shoe shop. Prior to becoming the chemist, the shop was a Sushi Train restaurant. Not bankrupt enough to drop out of Lodge, though. Image from SMH, 26 Dec 1936.